Architect: A.H. Findlay, R. Trent Jones, Ault, Clark & Assoc. 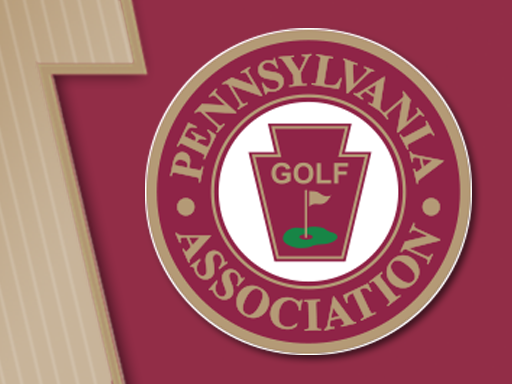 In 1921, a meeting of 13 State College residents was held which resulted in the incorporation of the Centre Hills Country Club in December of that year. Among the group were Penn State faculty members and administrators and State College professional and business leaders. From the start, the Club was a "town and gown" organization. Eighty-five acres of land were purchased on which stood a barn that had been built about the year 1845. This barn was remodeled into a clubhouse, with many changes and additions having been made to the structure over the years. Originally, there were accommodations for 32 overnight guests on the third floor "particularly for visiting teams at the times of tournaments." The original clubhouse structure is approximately ten years older than the first building built on the Penn State campus! In addition to the golf course, the present Club facilities include tennis courts, and a swimming pool. A dining room, as well as a grill room, is maintained, with a select social program for members and guests. A champion golfer, Mr. A. H. Findlay, laid out the initial nine-hole course; and Mr. Francis James, widely known golf architect, supervised the construction. These original nine holes remain essentially unchanged although two new greens and several new tees have been constructed. The upper tee on number four hole was inaugurated by U.S. President Dwight D. (Ike) Eisenhower. He used his new five wood and put his ball on the green. The Club operated with nine holes of golf until 1964 when land was acquired south of Branch Road. On May 15, 1967, the second nine, across Branch Road, was opened. It was designed by Robert Trent Jones and built by Herbert R. Imbt on land purchased from Gordon Kissinger.